Paint or draw anywhere with the help of the HJ-10 Red Beech Wood Portable Tabletop Easel! Constructed of high-grade beech wood, it is both sturdy and lightweight. 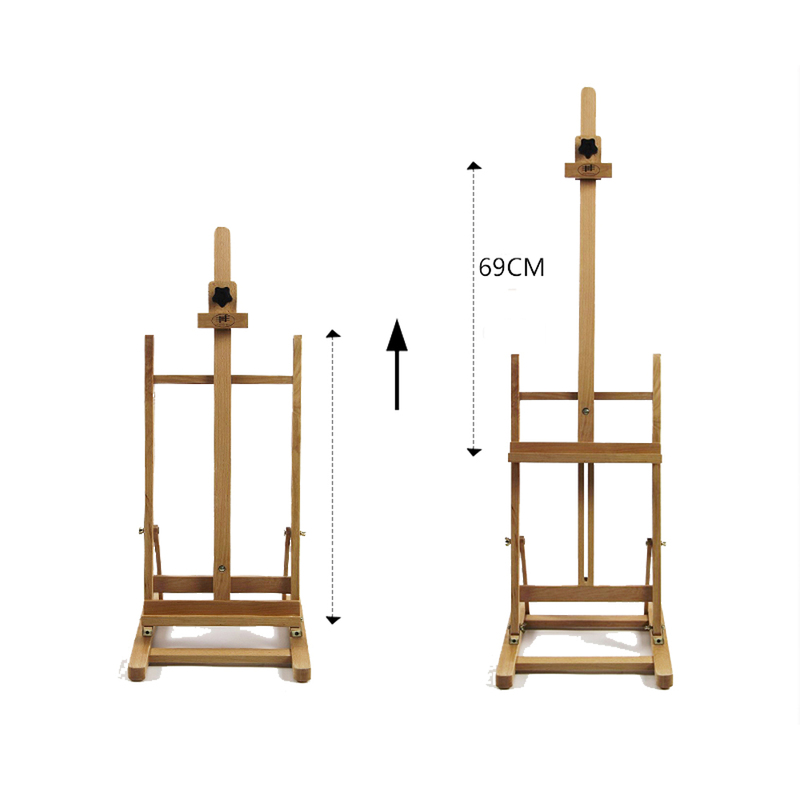 This portable easel is easy to set up and take down for added convenience. Foldable design makes carrying a breeze. It is capable of holding a canvas up to 70cm in height to suit the artist's needs. Plus, it features adjustable angle from 0 to 90 degrees to provide a comfortable paiting position. Don't hesitate to get it!